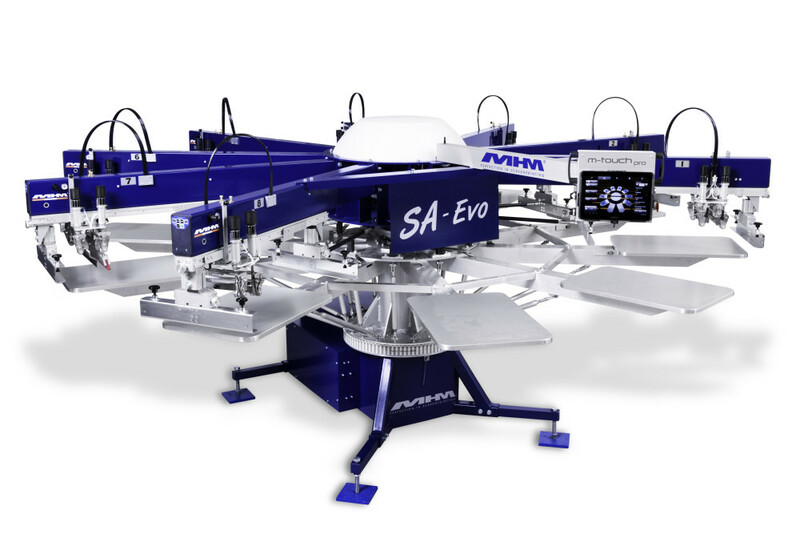 Combining advanced technology with ease of use, the SA-Evo comes bursting with a host of standard features taken directly from its larger brothers within the MHM product range. For added flexibility, this press only requires a single phase electricity supply and has been designed to fit through a single doorway during installation, great for small businesses where space is at a premium. High speed, smooth and multi-directional AC-Servo indexing and a host of time saving features are incorporated to reduce set-up times and boost your productivity to new levels, whilst future-proof software updates from the built in WIFI connection will ensure that you protect your investment well into the future. The AC-driven indexer provides super-fast production speeds (in either direction) whilst AC-frequency drive printing heads deliver smooth and consistent printing strokes at all speeds and pressures for superior image quality and precise repeatability. Our familiar, high quality printing heads come as standard making the X-Type Plus instantly recognizable to the operator, minimizing training and maintaining perfect compatibility with both our pre-registration system and our range of optional accessories. The innovative and user friendly M-Touch Pro tablet/pad style main command unit provides simple ‘finger-tip’ controls for all operator functions and has full WIFI capability for instant and real-time technical support, no matter where you are located in the world. In addition, every printing head has its own keypad for fast and easy adjustments and convenient control during set-up. Our innovative and user friendly M-Touch Pro tablet/pad style main command unit provides simple ‘finger-tip’ controls for all operator functions and has full WIFI capability for instant and real-time technical support, no matter where you are located in the world. The S-Type Xtreme SERVO comes with more standard features than any other press in its class, including a host of time saving features designed to significantly reduce your set-up times and boost your productivity to a whole new level. Our optional long stroke (LS) models increase flexibility ensuring that the S-Type Xtreme AC can be tailored to fit your individual business needs and budget precisely. 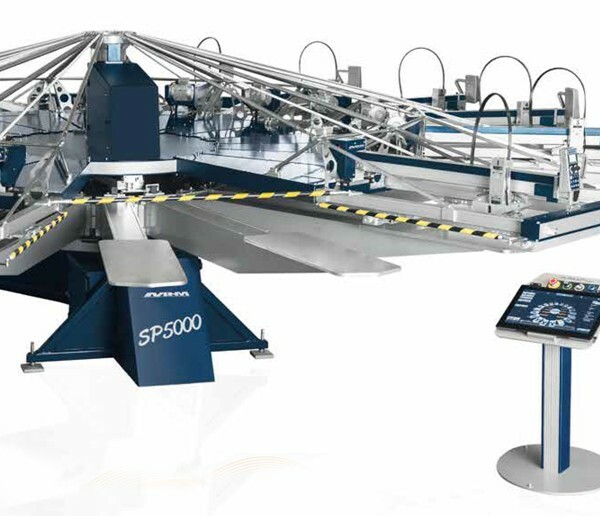 It’s pretty tough to replace a world-renowned, ultra-high performance press with one that is even better, but that is just what MHM have done with the introduction of the Synchroprint 5000, following the tradition of the SP3000 and SP4000 to be the ultimate machine in sophistication, combining innovative design along with advanced technology and ease of use, this press will change the way you look at carousel screen printing presses forever. After fine tuning the SP4000 and changing to the latest technology with ALL the latest benefits – tablet control, WIFI integration, online support, industrial standard PCB, better performance in the AUTO SCREEN version, latest servo technology etc. The SP5000 is now completing the new and modern MHM product family. 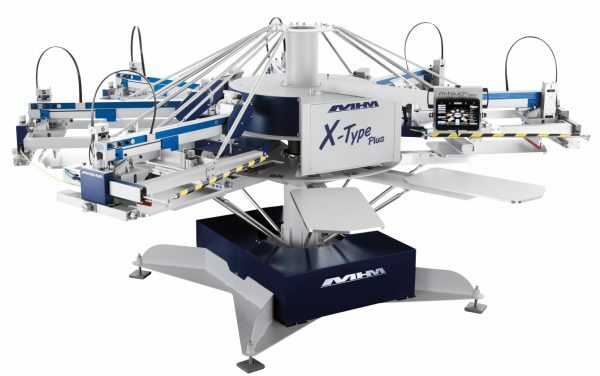 iQ Oval machines are modular and may be configured for almost any production requirement and offer ‘future proof’ expandability at a fraction of the cost of replacing an existing press which your business has outgrown. 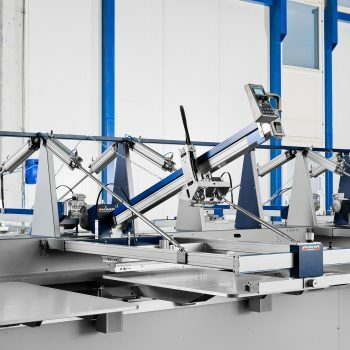 As your production requirements grow, simply add additional stations and colors to your current configuration (up to a maximum of 60 stations), increasing your production capability for maximum flexibility with the minimum of fuss. The unique and highly innovative iDS intelligent drive system, gives the iQ-Oval more versatility than any other current production system. 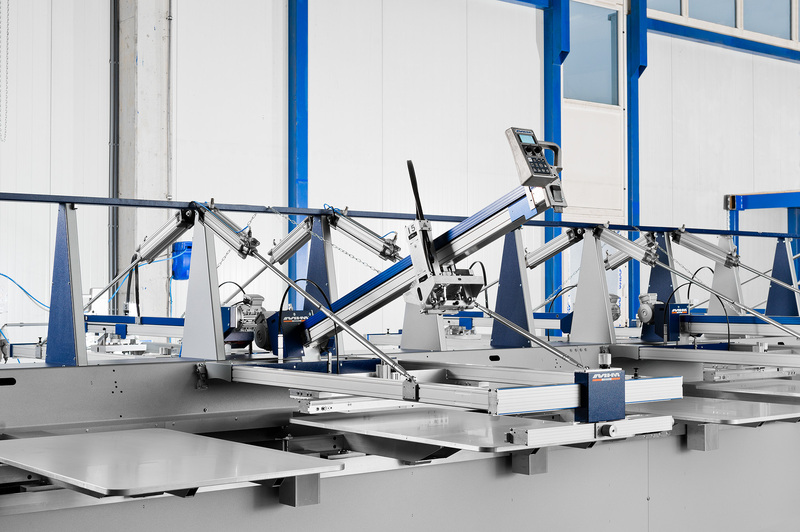 With no heavy chains or belts and no huge drive motor or gearbox to drive the pallet arms, the iDS intelligent drive system offers super smooth and accurate high speed movement in either direction with single, double and triple index facility. Operator safety is also greatly increased due to the iQ-Oval’s unique iDS drive motors, which will stop immediately when sensing the slightest obstruction, eliminating the need for security barriers and making this an incredibly safe and easy machine to operate.